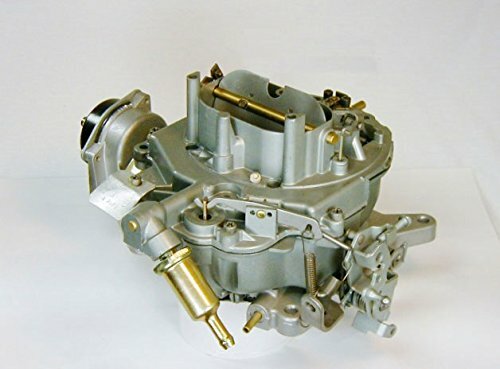 Best Carburetor for Ford 460 Reviews: Top-5 in April 2019! The Ford 460 is a variant of the 385 engine family that was the final big block v* engine that Ford designed. This engine had a 3.85” crankshaft stroke and utilized a thin wall casting with a skirtless block for weight reduction. The 385 engine family came in two sizes, the 429 cu in (7.0 L) and 460 cu in (7.5 L) and were in production between 1968 and 1997. The 460 was primarily used in the Lincoln Continental. 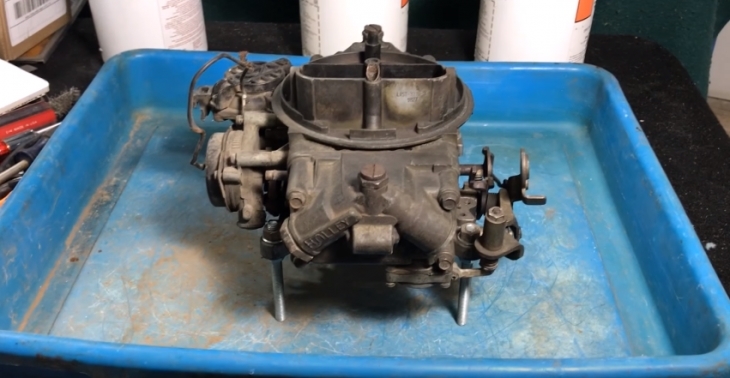 How to Pick The 460 Carburetor? 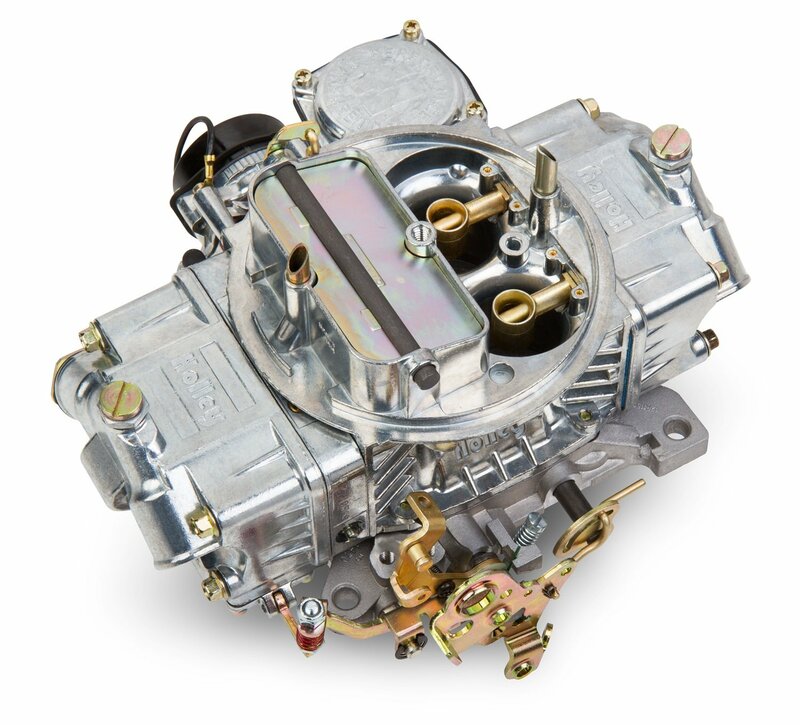 The Holley Replacement Carburetors model 0-80452 is a Model 4160™ Square Bore designed to fit many applications including the Ford 460. This model comes with a Gold Dichromate finish that provides excellent corrosion resistance, and classic Holley looks. This is a direct emissions legal bolt-on replacement for some vehicles and Improves performance over the stock carburetor. The Factory preset electric choke provides an easy startup, and the vacuum secondaries compensate for all vehicle weights, gearing & transmissions. This model comes with a single feed fuel inlet for easy installation and has a power valve blow-out protection. The body is made from die cast zinc. This is a great all-round carburetor for 460 engines, and as a Holley unit, you can rest assured it performs better than the stock models. The Holley 0-80318-1 Marine carburetor is designed for Ford Marine 460 CID (7.5L) engines and is made with a Gold Dichromate finish that delivers exceptional marine corrosion resistance and delivers that classic Holley look. This model is calibrated for Big Block 460 CID (7.5 liters) Ford Marine Engines and comes with a factory preset electric choke to provide easy starts. The vacuum secondaries are used on many boats, and this design includes a 30cc Accelerator pump and J-Style Vent Tubes. What a classic carburetor for your marine Ford 460’s, it’s a great part, and delivers unstoppable and unbeatable power to your boats in all-weather conditions. The Motorcraft 4 BBL 4300 with Climatic Auto Choke (Hot Air Choke), OEM# C8AF-B is a stock part that was installed on all 460 engines between 1968-1974. This model is a zinc die cast unit remanufactured to OEM specs. The 4300 C8AF-B features a 1.25″ primary venture (barrel) and a Primary throttle bore of 1-9/16″, with a secondary throttle bore of 1-11/16″. This model comes with a base Mounting Flange Gasket, and Top Air Ring Gasket. This is a standard stock replacement part; it will bring back the feel of the original vehicle as it left the factory. 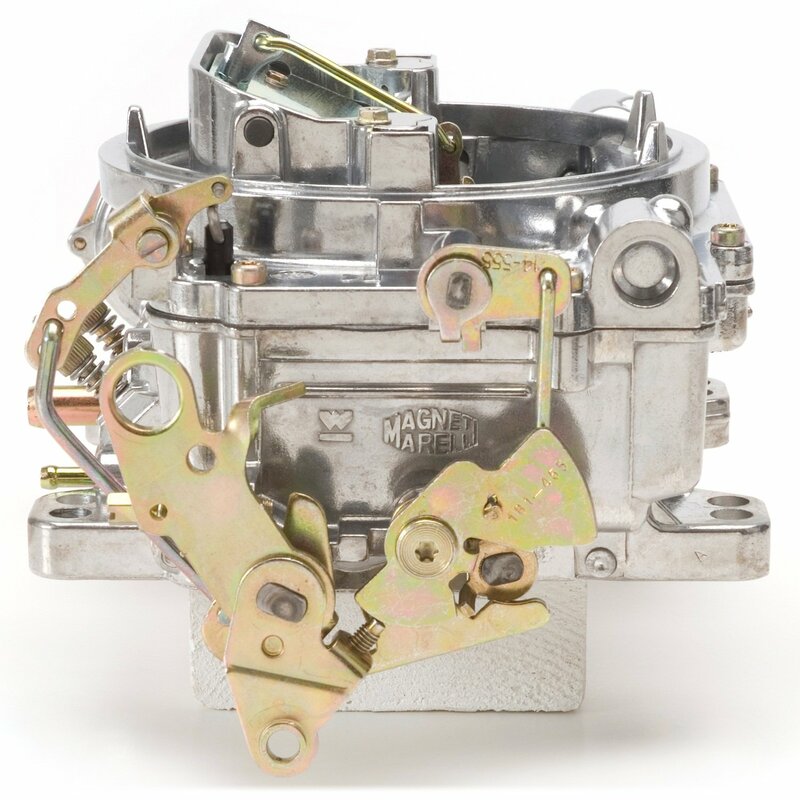 The Edelbrock Performer remanufactured carburetor is a 2-piece, all-aluminum construction that reduces operating temperatures and delivers less warpage. With no gaskets below the fuel bowl level, this model reduces leakage. This is a 750 CFM model, so you get a street performance upgrade to your 460 engine. This is a performance upgrade for your 460 engine and will deliver much sought after power gains to this weak, heavy engine block. The 0-80508S is a popular (if not most popular Holley model). This is a dual feed fuel inlet design that gives a constant 750 CFM of airflow. Ultimately, this is a top-notch NASCAR carburetor that was seen on the track in the 60’s and 70’s. This model comes with the Holley vibratory polish for looks and comes with universal calibration for easy bolt-on performance. The factory preset electric choke is designed to deliver easy startups, and the dual feed fuel inlets deliver constant high volume fuel. This model comes with the standard power valve blow-out protection. What a performer, what a standout and what a model. This is the top rated replacement performance upgrade for your 460 and the one you really want. 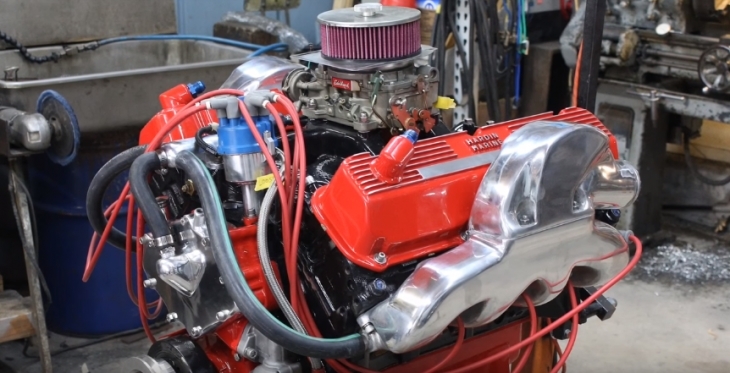 The 460 is a famous big block engine that underperformed, but is still a classic of the automotive history, and appears in many Ford applications including marine. 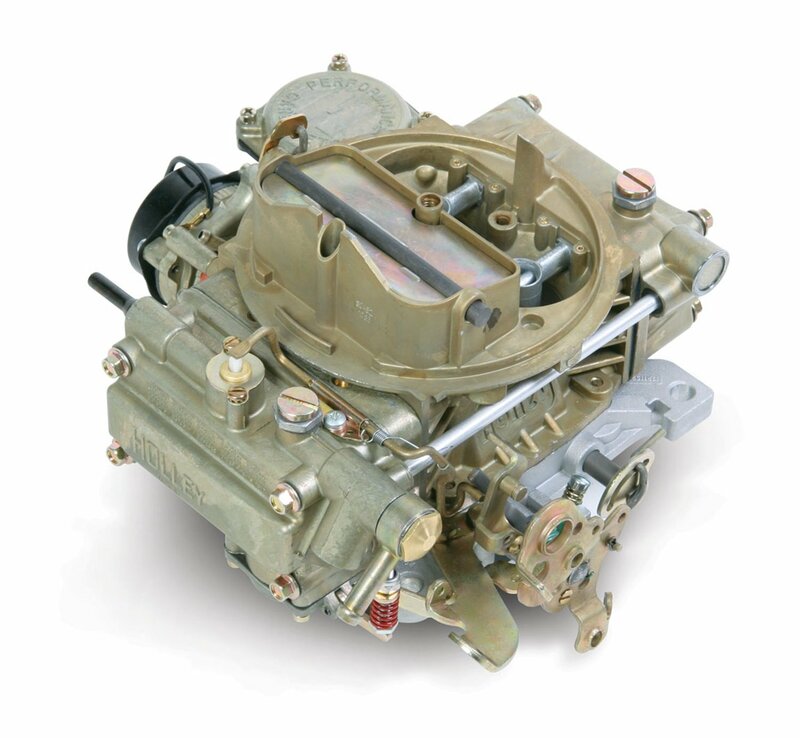 The best option is to buy a 600 to 750 CFM carburetor to maximize the power capabilities of this engine. The 460 was a less popular model to the 429 that saw extensive use and was popular in many applications. There are 2 valves per cylinder, and the actual label was 460-4V – “V” stands for “venturi” which is a barrel and represents the carburetor capacity. The 460 engine was large and heavy and was surprisingly weak for all its capacity, where size in engines usually denotes horsepower, other factors come into play that contributes to the overall power of an engine. In the 460 model the horsepower output was only 385, and by 1973 the engines were only putting out 70% of this power. In terms of size, the 460 is 34 inches by 27 inches by 30 inches and weighed in at a whopping 720 lbs. This truly made it a “big block” engine. Consider the power to size and weight ratio; this is a serious underperformer. The 460 outlasted its 429 smaller brothers, and continued production well into 1996, 23 years longer than the 429 that stopped in 1973. 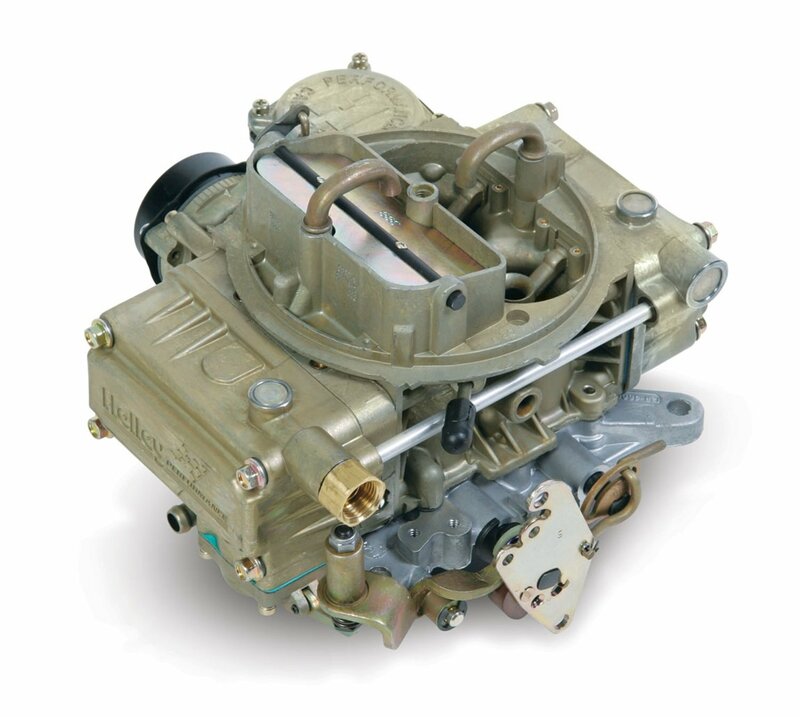 Let’s take a look at the top-rated carburetors for the 460 (385 engine family). This means that the best CFM for a 460 would be around 500, anything over will deliver performance improvements, anything significantly under will stall.